Stela’s chance late night encounter with young nurse Elizabeth Duma in a hospital’s ICU ward – an excellent and practical place for a strigoi to find a fast meal—begins an intimate and confounding journey for the centuries-old strigoi, more commonly known as a vampire. Much to her chagrin, Stela gives Elizabeth her real name during their brief exchange. Names have power. Something inexplicable is sown. The connection between Elizabeth and Stela evolves, and life becomes increasingly complicated for Stela. 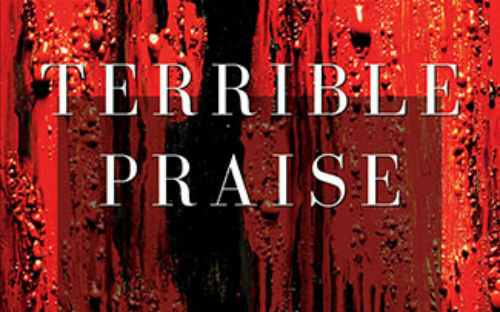 Terrible Praise is the debut novel by Lara Hayes. It is written in alternating first person points of view; deftly interwoven, these perspectives create an enticing narrative for the reader. The transitions are occasionally disorienting and mildly confusing, but perhaps that’s just the point, as each of these characters is struggling with her own dissatisfaction and disorientation at their bond. We learn of the brilliant Elizabeth’s burden caring for her mother, Claire, who suffers from Parkinson’s complicated by dementia. A child prodigy with the violin who made plans to redirect her energies and talents toward medicine, Elizabeth’s life plans were diverted by her mother’s diagnosis. She is stretched thin by the strain of caring for her mother. Claire was not a warm and fuzzy mother and her already unlikeable qualities are amplified as dementia whittles away at her restraint. 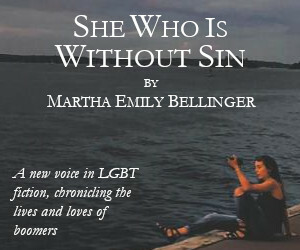 Was Elizabeth’s choice to play dutiful daughter hiding something else in her life? Make no mistake, Stela and the rest of Fane’s brood are predators—intelligent, preternatural, and skilled. They hunt, feed, and kill violently and regularly. They do not sparkle. Following Stela on a hunt is intense, exciting, sometimes darkly humorous, and usually brutal. The strigoi are beyond sexuality. Their desire flows in the blood. While drawing on many classic Romanian vampiric traditions, Hayes makes intriguing and sometimes practical choices creating her strigoi and their world. As Elizabeth and Stela get to know one another, Stela dismisses many “peasant myths.” The scientist in Elizabeth is fascinated, not repulsed by the strigoi’s biological imperatives. Stela has never met a human who responded with interest rather than sheer terror. Thus details unfold such as their telepathic powers, especially while feeding, and in general among the family. Hayes’s strigoi feed often from the “unnoticed” of society and frequently kill their “meals.” Family members stagger the nights and locations of their hunts because in a contemporary Chicago they have very practical problems with the remaining corpses. This issue has prompted at least one long-time relationship with a family-owned funeral home and crematorium. Above all, their presence must be secret. The humans in business with the strigoi know with whom they deal and those humans walk a delicate line. The first in the Redamancy Series, Terrible Praise is a highly engrossing story. As noted by the author, the definition of Redamancy – an obscure word well suited to Stela – is the act of loving in return. 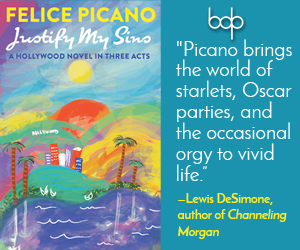 Themes of identity, fulfillment, loss, loyalty, love and redamancy are explored in complex, nuanced ways. The characters draw the reader into the story while the pacing keeps the reader engaged. In some 500 years, Stela’s love and devotion has all been for Fane and the family. What will she do about Elizabeth? What is she willing to risk? What is Elizabeth willing to relinquish for Stela? What will Fane do about Stela’s betrayal? Terrible Praise is well worth reading to find out the answers. It will be interesting to see what stories Hayes has planned for readers in the future.